Last week 8 of the best up-and-coming EU Hearthstone players met for Blizzard’s Winter Championship tournament! With $80,000, 85 Hearthstone World Championship points, and one ticket to Blizzcon on the line, every player brought out their best decks and strategies. Seven countries were represented out of the eight players including Ukraine, France, The Czech Republic, Portugal, Germany, Norway, and Kazakhstan. As far as teams, four were represented: Tars from Melty eSport Club, Cereza from For the Win eSports, Pokrovac of ESuba, while both BunnyHoppor and Diggen playing under the GamersLeague banner. DrHippi, Nicslay, and Naiman were all solo. 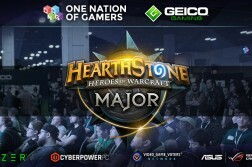 Group A featured Naiman, DrHippi, Nicslay, and Cereza. Naiman took the #1 seed out of Group A going 2-0 against Nicslay and DrHippi. He displayed very consistent play on his Hunter, Mage, Paladin lineup. DrHippi grabbed the #2 spot with his Hunter, Warlock, Druid lineup after beating Cereza, losing to Naiman, and then beating Nicslay in the tiebreaker 3-2. 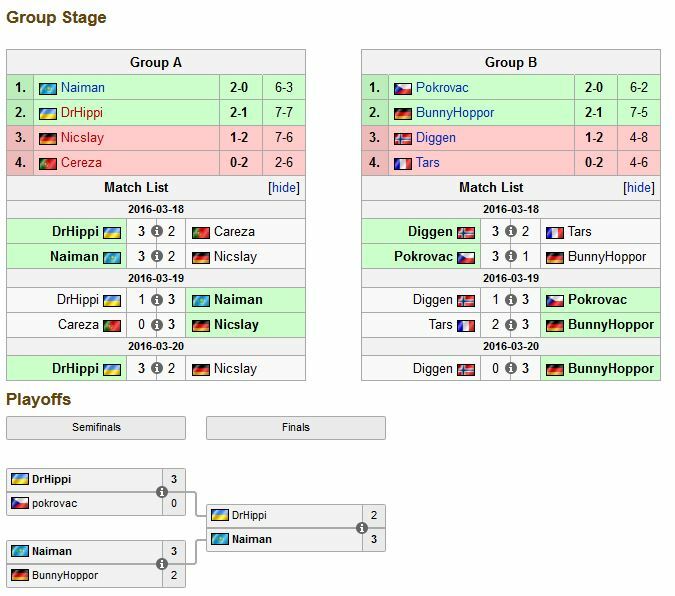 Group B had Pokrovac, BunnyHoppor, Diggen, and Tars. 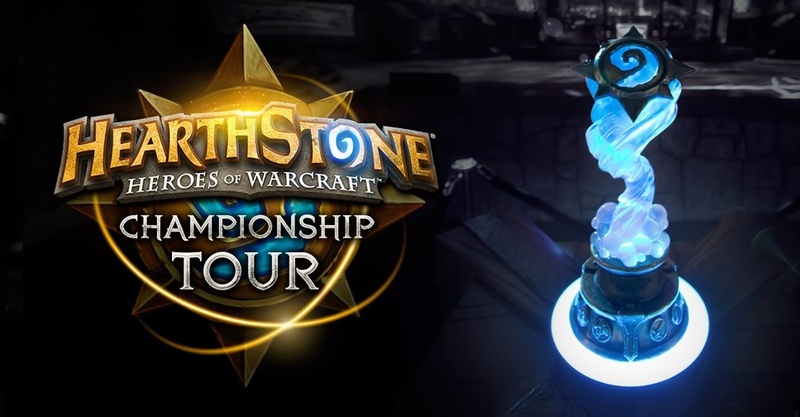 Pokrovac brought out the best of his Paladin, Priest, and Warrior decks to earn the #1 seed and advance to the bracket stage. 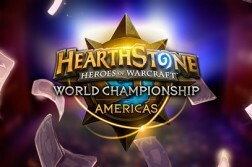 Germany’s BunnyHoppor would take the #2 slot with wins against both Tars and Diggen using Warrior, Druid, and Paladin. Next came the bracket stage with DrHippi facing off against Pokrovac and Naiman taking on BunnyHoppor for the semifinal matches. DrHippi changed his deck lineup from the group stage by swapping out his Mage for Druid which paid off handsomely for him as he easily dispatched Pokrovac 3-0. In the other match Naiman stayed true to form with his Hunter, Mage, Paladin decks and managed to beat BunnyHoppor’s Druid, Paladin, Warlock lists in a very close 3-2 set. This set the stage for the grand finals with Naiman up against Ukrain’s DrHippi. The first game was a lightning fast agro vs agro matchup with both players selecting their Hunter decks. Naiman maintained the early advantage and took the win by turn 7 on the back of a very high value Knife Juggler. In game 2 Naiman switched to his Paladin while DrHippi stuck with his aggressive Hunter deck. DrHippi took advantage of the favorable matchup to bring the series to 1 game a piece burning down all of Naiman’s health by turn 8. Game three was Hippi’s Druid against Naiman’s Paladin. Naiman put Hippi on a clock by buffing three of his Silver Hand Recruits to 3/3’s with Quartermaster and pushing for lethal even while down significant card advantage due to DrHippi’s Azure Drakes. However, DrHippi had the answer with a crucial Mind Control Tech draw off the top to steal one of the 3/3’s he then pushed through for lethal with double Savage Roar to go up 2-1. In the Match point match for DrHippi he only had to win with his Zoo Warlock deck against Naiman’s Mage. Naiman’s freeze Mage was forced to use both Blizzards to keep Hippi’s board down which eventually gave Naiman enough breathing room to burn down Hippi’s Warlock with multiple fire spells. In the ultimate game Naiman’s Paladin faced DrHippi’s Zoo Warlock. Both players started with excellent hands, but Naiman grew an early advantage with Creeper, Minibot, and Muster. DrHippi was forced to gamble with his Knife Jugglers to try to clear some of Naiman’s Silver Hand Recruits because he suspected the Quartermaster but it was not to be as the Knives found other targets. 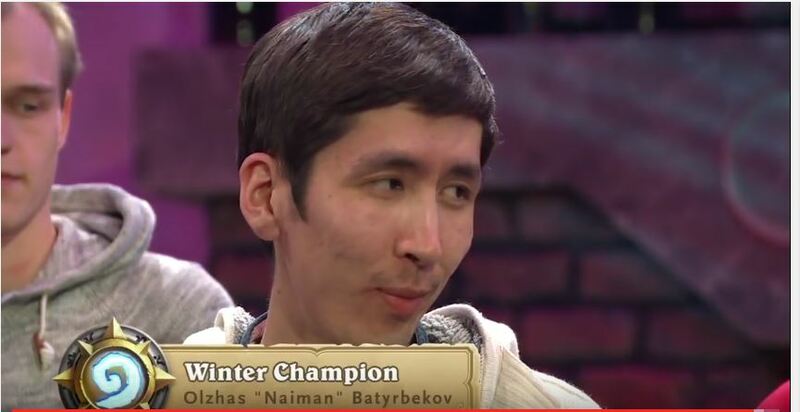 Naiman continued to push face damage as Hippi fell further and further behind and Dr. Boom sealed it for Naiman on turn 8 as he became the EU Winter Champion!